Rhetoric is defined in the Oxford English dictionary as, “The art of persuasive speaking or writing”. Thus, the Rhetorical Triangle is a tool that helps you formulate your thoughts so you can clearly present your position in a persuasive way. Master using this tool and people will clearly understand your message, and be heavily persuaded by your argument. 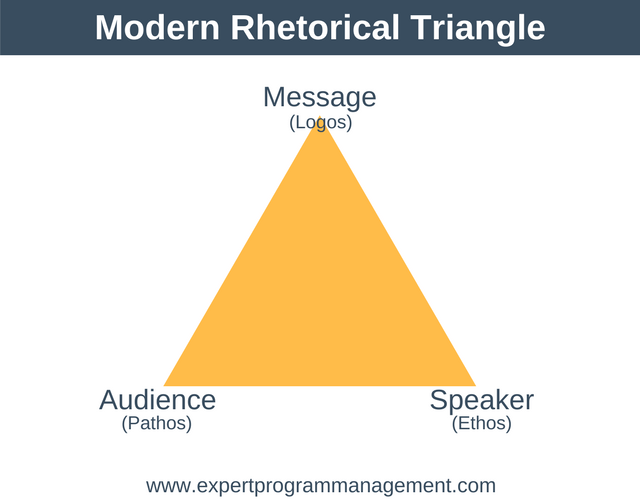 The concepts of the Rhetorical Triangle were first described by Aristotle in one of the first great books about rhetoric, surprisingly enough titled “Rhetoric”, which was written in the 4th century B.C. In the book Aristotle outlines the three rhetorical appeals. Another way to say this is that he outlined three strategies of persuasion. These were called logos, pathos, and ethos. These three strategies make up the Rhetorical Triangle although Aristotle himself never used a triangle to represent them. The Rhetorical Triangle gives us three methods of persuasion. You could make an argument using just one of these methods, or you could combine any two methods, or even use all three methods of persuasion. Let’s examine each of these methods of appealing to people in turn. You are appealing to their intelligence with facts and supporting evidence to strengthen your position. Pathos is an appeal to your audience’s emotions. You could, for example, move your audience to want to feel young so as to get them to buy a cosmetics product. You could also move them to sadness so as to get them to donate to charity. Ethos is the speaker’s or writer’s credibility and authority to deal with the topic in question. For example, the ethos of your doctor comes from the years of training required to become a doctor. Because of these qualifications, you will listen to their opinion on particular subjects. You can learn about different types of authority here. As already mentioned, you can use any combination of logos, pathos, and ethos to create a persuasive argument. Having said that, typically the best arguments will contain all three of the appeals. One way to think of the points on the Rhetorical Triangle are as ingredients you can use in any combination to create an argument. Sometimes a little imagination is needed to find the right set of ingredients to suit the needs of your audience. Suppose, as an example from the workplace, that you wanted to persuade you leadership team to approve a proposal that you are presenting. Initially, you think about presenting just the facts (logos) such as the untapped market opportunity, how much work would be needed to implement the plan, the possible financial rewards etc. With this argument you are obviously making a logical appeal. 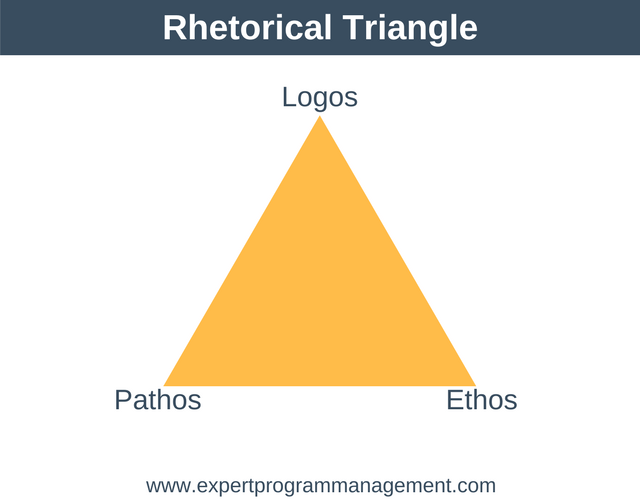 Upon reviewing the Rhetorical Triangle you decide that a little emotional appeal (ethos) before presenting your logical argument may make the leadership team more receptive to your ideas. In this case you decide to begin by explaining the dire consequences to the business and each member of the leadership team of not implementing your plan. Only after your have made an emotional appeal do you move on to your logical argument. 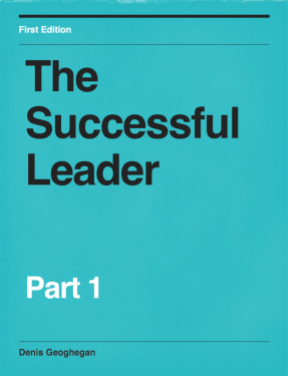 In this example, you are already known to your leadership team so you don’t need outline your credibility on this subject (pathos). As you can see, using the Rhetorical Triangle in this way can help you create a much stronger argument. Note that many of the concepts presented here are also covered as part of Monroe’s Motivated Sequence for creating a rousing speech. Now let’s move on and examine each of these three elements of appeal in some more detail. Are there any logical errors in my argument? Do I jump to conclusions at any point? Do I use credible evidence to support my claims? What are the counterarguments? Have I dealt effectively with each? Is the flow of my argument logical, and is that the best flow to present? By connecting with your audience through reason you demonstrate to your audience that what you are saying is reasonable. Which emotion am I going to appeal to – sadness, greed, pride, fear, being young, being old, anger, patriotism, love, loyalty, desire etc. Have I tried to establish some common ground with the audience? Another way to say this is have I laid out what we have in common? Have I built on this common ground to make the audience really care? By connecting with your audience through emotion and common ground you move your audience towards being much more likely to agree with your later logical arguments. Have I explained my qualifications? Have I explained what qualifies me to speak on this topic? Are these credible? Is the tone of what I’m saying suitable for the audience? Is the word choice suitable? All things considered, do I present myself in a professional manner? By explaining to the audience your credentials you’ll be much more likely to gain their trust. Note that facts and information you want to present don’t always fall cleanly into one of the above three categories. As an example, if you used an expert quote this could be both pathos and logos, as it shows you’ve researched the topic, thus increasing your credibility, but it also adds weight to your reasoned argument. Determine your purpose: do you want agreement, or to make people laugh, or to rouse people into action. Write down the exact purpose of your speech or document. Say why they should listen to you: specify your relevant credentials along with any beliefs or values that are relevant. Understand your audience: understand who they are, why they are listening, and what their expectations are from your speech or document. Connect emotionally: determine how you want to connect emotionally and the emotion you want to elicit. Deliver the content: logically structure your arguments and back them up with credible facts and statistics. Cover surrounding information: cover any additional information which whilst not directly relevant to your arguement could help strengthen it, such as any useful background information or addressing counterarguments during your argument. The art of persuasive speaking or writing is a learned habit the can be improved over time. The Rhetorical Triangle gives us a framework we can use to create compelling and persuasive speeches and written documents.